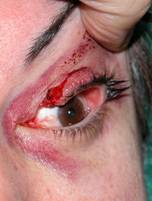 Eyelid trauma treatment is better understood if you know the mechanisms of wound healing. 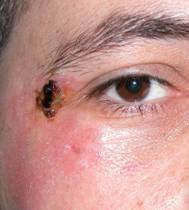 Wound healing occurs in its primary form when the wound edges are approached. 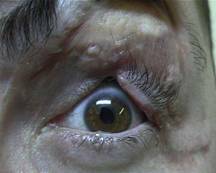 When this happens healing phenomena ensure that defects are closedwith the least functional, anatomical and cosmetic defect. The phenomena of healing begin within 24-48h after the insult and may sometimes last for years. 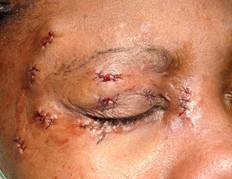 When the edges are sutured this is referred to as secondary healing. 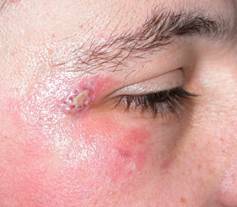 Healing occurs in wound contraction and formation of granulation tissue. 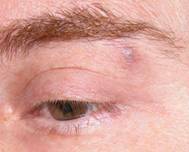 The anatomical, functional and aesthetic result can be poor leaving sequelae. 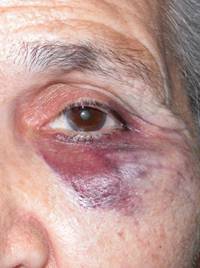 Therefore all wounds involving the oculofacial area must be sutured initially. A clinical assessment of the causes, input speed, foreign objects, etc. is mandatory. 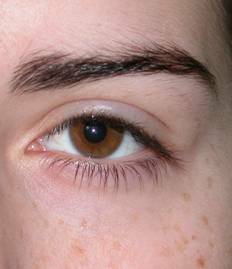 Then a detailed examination of the eyelids must be made assessing eyeball integrity. Radiological tests will be performed in order to detect possible foreign bodies present in deep tissue. Once all the necessary factors have beeen examined and analysed, we will proceed to clean wounds and administer tetanus prophylaxis. Photographs should be taken whenever possible. The next step is the application of local anesthesia by local infiltration. In children sedation is necessary. Surgery should optimally be performed within 24 hours, but in some cases may be delayed for up to 3-4 days. 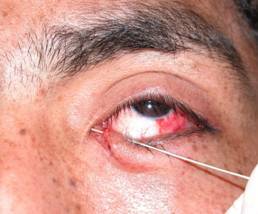 We use very fine sutures for eyelid and deeper tissues. 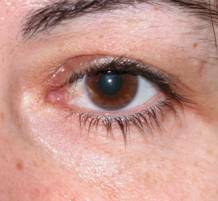 Possible involvement of the lacrimal canaliculi must be assessed for prompt repair. We suture by planes and must be careful to maintain the margins of the eyelids perfectly aligned. It is the most important because of its proximity to the eyeball. 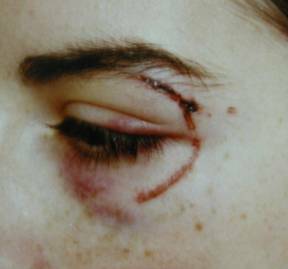 A wrongly closed eyelid can produce, in retrospect, significant injuries to the cornea, so we must be very careful in wounds affecting the lashline. Microscopic techniques are employed for this type of repair. 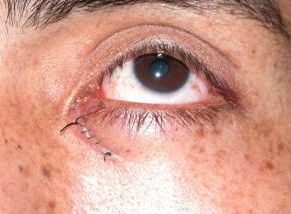 In cases of suture margins are left for a period of 10-15 days prior to removal. 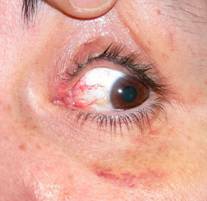 In the rest of the eyelid they are extracted after a week. In the forehead and eyebrow we may wait up to 10 days.